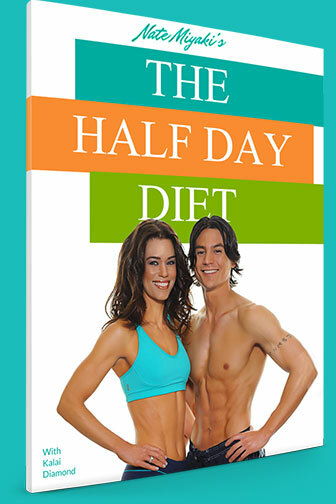 Lose Weight Naturally - Discover 5 Secrets To Get Skinny! Lose Weight Naturally – Discover 5 Secrets To Get Skinny! If you have ever wondered what people do that are naturally skinny – here are a few tips on what you can do to lose weight naturally, too! Have your water ready at all times! Water can help you to lose weight and it is very important to take in enough fluids for your general health. Water keeps your tummy feeling fuller and your skin supple. So whatever you do or wherever you go – have some water with you and try to drink 8 glasses or 2 liters a day. Get enough sleep!It is proven that a slim person has around 2 hours more sleep a week than an overweight person. You are much more likely to reach for food when you are tired, so you should always aim to get around 8 hours sleep at night to be able to keep your energy levels up during the day. – That is something I have noticed myself, when I don’t get enough sleep I seem to graze and look for snacks during the day much more than when I had enough sleep and feel rested. Sleep with the right pillow – get one here! Only eat when you are hungry. This one seems to make a lot of sense. How many times do you reach for food (mainly sweets 😉 ) when you are simply bored, stressed or down? I do it all the time! When we use food as an emotional pick-me-up, the weight can pile up very quickly since you are eating unnecessary food that your body does not need. Try to find other ways of dealing with stress, boredom or feeling sad – like going to the gym, or for a walk outside, or talking to a friend on the phone. Eat breakfast! – I have to say I personally am not so sure about this, see here, but you hear it all the time so there must be some truth in it! Countless studies show that people who eat breakfast in the morning are slimmer than people who don’t. Breakfast is a kick-starter for your metabolism in the morning and will also stop you from snacking throughout the day. So there you have it – 5 secrets to lose weight naturally! I think they all make sense and are quite achievable. Some of us might have to learn again what it feels like to be hungry (ahem – I do! ), and going to bed earlier can be quite a challenge, too! 😉 But if you think about the end result it will be well worth it, because you definitely will lose weight naturally! Weight loss worked for me by eating breakfast, just scrambled eggs and salsa and then drinking water all day instead of snacking. Thanks for the write-up! Keeping hydrated is a classic tip, but I think it’s definitely one of the most important things to keep in mind in weight loss and to just stay healthy period. Learning to pick up the water bottle before I go reaching for a snack is something I try to keep in mind. Plus, granted you’re backing up your healthy “diet” (diet here meaning simply what you consume) with a decent amount of physical activity – you’ll need the extra fluids to keep yourself feeling alert. Great article! I agree on all the points listed here and can attest to their effectiveness myself. Not dieting is a huge one… unfortunately our society thinks dieting is the only way to lose weight. I never diet, I eat healthy as long as I don’t binge and eat a well rounded diet, I stay slim. I also found that the herb Hydrilla Verticillata keeps my appetite in check naturally. It has incredible nutritional properties as well. Learn more here: Green Superfood. Agreed! I am good on most of these points. My challenges include getting enough sleep and only eating when hungry. It seems the more I work out the hungrier I get. I drink ALOT of water, both distilled and distilled with added minerals. Kristal Casey´s last blog post ..Are people with straight teeth more successful? All those tips are really very good especially the third one. To have enough sleep is so much important to gain a fat free body. A huge percentage of fat people does not have enough sleep and they suffer in depression. They should remove these kind of things from their mind and should sleep well. I couldn’t agree more with you – sleep should be right up there with the main “ways” to lose weight. Not getting enough sleep wreaks havoc with your overall health, and the body really does try to compensate for the lack of sleep by craving food. Love the tip on diets. The first 3 letters in the word diet are “die” for a reason. Everything in moderation. Depriving one’s self of certain things will ultimately lead to failure. Sleep and water are also great tips. So many people deprive themselves of adequate sleep and are clinically dehydrated at all times of the day. danny maman´s last blog post ..Anti-Inflammatories VS. Natural Arthritis Remedies – Which is Safer? Danny, that’s absolutely correct, and I have to say that regarding sleep and water, I am unfortunately one of the ones that sleep too little and don’t drink enough! I keep forgetting, any tips on how to get this water in my body would be greatly appreciated! helps to crank your metabolism – main tool for burning your calories. Hey Petra this is a really nice post. What I found is that you have not just jotted down anything and everything for weight loss, you have highlighted some common sensible stuff which we all must do to stay healthy and lose weight as well (for those who need to). Apart from this I personally know the benefits of each tip that you have mentioned. Thanks for sharing the post. Not extreme dieting but moderation is the key. One should watch out for cakes ice-creams and milk-shakes. Obvious high calorie items will not any good of consumed excessively. Skipping breakfast or any meal at that, is one of the common mistakes committed by people who want to lose weight. Breakfast is the most important meal of the day, and it literally means breaking the fast that you were into while you are asleep. Reading your post made me feel as if I was knowing everything all over again. I always knew these things about weight loss but somehow never paid attention to them. I have been doing everything you mentioned but the only thing that I have been missing out on is the diet part. I have been trying to diet since a long time only to give in more to my temptation to eat. I realized this after reading your post that what I was doing is just the same thing that you have mentioned. I will try to get rid of it hopefully. Most of us are having a hard time loosing weight because we pressure ourselves to loose and restrict our palates with this and that. In order to loose weight, proper discipline, determination and portion control are also important. Ah, you know your very picture alongside the thing you wrote about water, made me get up and go have a glass of it! Great points, very well written. I usually don’t eat when I’m bored, I sleep when I do get so. Sleep is everything for me. An 8-9 hours sleep is a must, in my case. And I never diet. It goes without saying I’m athletic enough! Thanks for sharing these fruitful points. I’m a wee bit overweight, and I’ve started dieting already. My dietitian (read: wife) takes care of my daily intake though, so I hardly make a fuss over it. I’ve lots of water too, about 3 to 4 liters per day. And sleep is something I never compromise on. So maybe I’ll lose that excess fat pretty soon. Thanks for sharing this to confirm my yet unknown seemingly correct daily habits. Sam, sounds like you are on a winning road! Let us know how you go. David, I always thought that a “good” amount of water to drink during the day is 2 liters, and that’s what you hear everywhere. But I am sure that 3 liters can’t be bad for you! And with the sleep – I am talking about a “normal” amount of sleep, what every body needs, like 7 – 8 hours. Not an excess amount. Too much sleep is not good, either. I agree that staying hydrated is crucial. I try to stay up on my water intake. I find that if I have the munchies I can drink a cup of water and frequently the cravings will subside. I had started hating my figure until recently since I could not figure out what was making me fat. I drink plenty of water, don’t diet rather can not, get sufficient sleep and never eat unnecessarily. It was only after reading your post I realized that I was accumulating fat because of missing my breakfast. I am always in a hurry in the morning hours and just can’t manage to eat, this came up in the shape of my belly fat, never mind I will take care of it. Thanks for sharing the post. The most important tip to weight loss is having plenty of water.Dieting is really not a good thing and it does not help weight loss in the healthy way.Salads can be a part of your weight loss diet.A good sleep is vital to loose weight.Lack of sleep can result in depression of an individual. Long term and sustainable is the key! Petra, you have highlighted great points. I have been working out since two years and tend to drink water regularly. At breakfast, instead of water I prefer drinking orange juice as it helps me to maintain my immune system and also it contains high level of antioxidants. But rest of the day, I focus on water instead of juice or soda. I kind of disagree, Alex. You don’t need to work out hard, you just need to keep fit. And you shouldn’t eat little, because that will get your body into thinking its starving, and that will lead to storing more fat. Just eat the right things at the right time! 3 main healthy meals, and 3 protein snacks in between. I’ve had great luck losing weight with juicing. I didn’t even try to lose weight, was just juicing for health. The weight just came off naturally! Drinking plenty of water and getting enough sleep worked for me and it still does. Aside from that, I maintain a regular does of exercise to keep my muscles toned. Great tips on this blog. Thumbs up! I won’t say I am a figure conscious person but tummy fat is not acceptable by me even. I keep a low fat diet, I eat home made food most of the time, its only once in a while that I eat out and I have plenty of water too. I sleep well, have my breakfast daily and never eat without being hungry. Now can you please tell me why am i accumulating belly fat? Jannet, I would say you should maybe simply go and pay your GP a visit and consult with him. Just to make sure that everything is ok with you – maybe you have an extremely slow metabolism. It can’t hurt to get checked out. I agree and feel that point 4. i.e, Eat only when you’re hungry is the best possible way to slim ones self. To control ones desire and to know what you want to eat and when will help in curbing the unwanted habit of over-eating and that too when you’re not hungry. Next basic – breakfast! I’m sure about it. 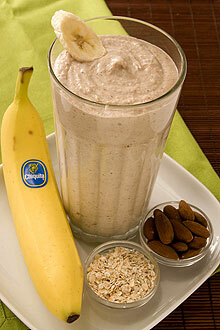 I have usually a delicious shake for breakfast since years. It’s nothing strange, I know people they have cereal for breakfast every day, day after day 😉 I believe my shake is way more nutritional and gives me a right boost for entire day. You’re doing great, keep writing! The picture of the smoothie is making me crave it. 🙂 I have been making smoothies for the past 7 days, mainly in the evenings. I like to add some kale or spinach to give it a little alkaline balance. I went vegetarian last May and I lost 15 pounds without trying. I still eat the same amount of food- minus the animal protein. Nuts have a good impact on a healthy diet. Don’t eat too many though, cause they do have a lot of fats (good fats, though :-)). Working out is Also the best way to loose weight but many of us start working out and leave it after a week or so. Thats why eating wisely keeps you healthy as well as fit. I’m really happy to hear these tips that, thanks for sharing! These tips are great! I fully agree with all of them! The one about dieting is especially important, because so many of us have been tempted at some point to follow one of those fad diets, which has helped us lose some weight true, but all those pounds have been piled back on after the diet is over. Choosing an overall healthy way of life is the key to staying fit and healthy! Very much important tips you have shared in your article. For a healthy and natural weight loss, you should drink plenty of water, stop junk food and food with lots of calories. Go for a walk at least for half an hour a day, have healthy food. Never skip meal to lose weight and have very light food for dinner. Excellent tips. They are all good ones. Especially, only eat when you are hungry. Like you and a lot of others, I too eat (used to) when bored. Now I am more active, riding my bike and going for walks. This helps with your #2 tip as well. When you are active, you don’t need to watch everything you eat and you are naturally less hungry. Awesome list. Tip number one is huge: I actually started drinking water instead of juice and soda (both full of sugar). Also, if you drink warm water, you lose the snesation of hunger for quite a long time. Tip number four is equally important: many people eat sweets when they are depressed (and they tend to eat too much of it). So what worked for me was to find out which things besides tasty foods make me happy and to turn to them when I’m feeling sad (for example my favorite music/ motivational videos). Some great tips there, Julia, thank you! Good post! It really is about focusing on making lifestyle change in order to lose weight and keep the weight off. Healthy eating has to be done with foods you enjoy eating , other wise it will just be temporary / a diet. Again, good post! [email protected] loss program´s last blog post ..What is the best time to Eat? Unlike most wight loss tips, these tips don’t sound like they have been taken from some different world. They are so common and so much into our daily life that you don’t have to think anything different. Thanks for sharing the post. That’s exactly right, Luice! Anybody should be able to incorporate this into their daily life/routine. Thanks for these useful tips! I’ve been trying to lose my weight since last month and I have no results.. What a pity.. I believe eating breakfast is the most important meal of the day and kickstarts your metabolism that slows down when you sleep. Mentally, I tend to see people eat healthier meals and snacks throughout the day if they start the day off right by eating a big healthy breakfast. This is such a great post! I like how you make a point to not stress too much that you’re “on a diet”. That’s where I feel a lot of people go wrong as well! Has way more to do with a positive mindset than anything. Thanks for the article! I agree that eating breakfast is so important, but unfortunately it is always over looked. People think they are cutting calories, but they are actually slowing down there metabolism. They also end up eating more calories through out the day. I use weekly meal plans to lose weight and stay in shape. Great Article! I love your point #2 “Do Not Diet”. It’s all about the big picture and short term diets provide short term results where having a healthy lifestyle including what you eat provides long term results. The main thing is the calory consumption.The right balance can help you to be in the right shape. Have you ever wondered how to lose weight naturally? Natural weight loss is the most simple and effective way for permanent weight loss. It’s not about dieting; it’s about making gradual changes to your eating habits that will help you lose the weight for good. Here are a few easy steps to help you start losing weight naturally. What makes this article great is that all five points are very real and possible for everyone. So many weight loss plans today, in my opinion, demand things that people can’t (or just don’t) stick with for various reasons, and they fail miserably. This plan is not extreme, and seems feasible for most. I was skeptical at first but these tips really worked for me. I lost about 5 pounds in a month that too without even exercising. The first tip is the best one. Drinking water reduced my constant hunger pans. 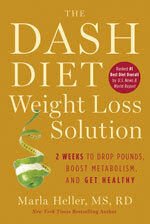 One of the best ways to become a healthier person is to learn how to lose weight naturally. Doing things naturally without any kind of supplements or pills or fad diets can give you a better chance of success — and it’s more cost efficient. One good way to do things naturally is to improve metabolism by eating small meals rich in minerals and vitamins, 5 to 6 times per day. More so, this habit will usually curb temptations to snack on sweets, since the tummy is filled every now and then throughout the day. For this to be successful, it is best to keep a list of calorie intake as well as a viable diet plan. Great tips, especially getting enough sleep. Living full of stress doesn’t help us lose weight and function at our best. Definitely not depraving yourself of needed energy or healthy fats is key. There are great healthy ways of losing weight – and more importantly losing fat – quite quickly if you follow the Bullet Proof Coffee method! Losing weight is only half of the story. Staying healthy is another one. Cutting back on the amount of calories you consume and exercising regularly are the two best ways to lose weight. Other dietary changes can strengthen your efforts to shed those extra pounds, such as consuming lemon juice, according to Ann Louise Gittleman, a certified nutrition specialist. Petra, I wholeheartedly agree with your tip, Get Enough Sleep! When I was working a 9-5 desk job, I would often find myself heavily stressed out and staying longer hours than I had to. This messed up my sleep routine and after several, I developed lots of health problems like dizziness, palpitations, feeling spaced out and imbalanced. I though I had a cardiovascular disorder but when my doc checked me out, the culprit was lack of sleep. Sleep is very important to the body and if you lose just an hour of sleep daily over several months the health effects can be nasty.